Kavita Exporter offers a family of product lines to meet our customer needs. 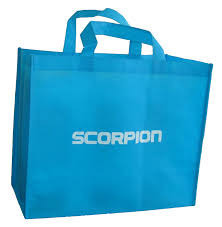 We offer high quality of Non woven bags. we make D-cut, U-cut, loop and gadget non woven bags in 45, 50, 58, 70 and 90 GSM. 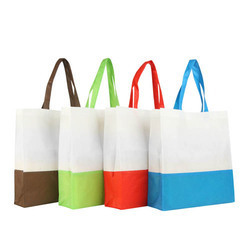 We are considered to be among the prominent and leading manufacturers, traders and exporters of Non Woven Bags. Broadly used in shops, malls and departmental stores for carrying items. 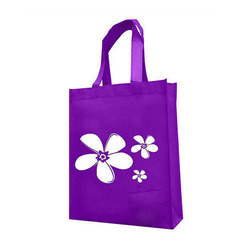 These Colorful Printed Non Woven Bags we offer are made using quality approved fabric as per prevailing market trends. Our offered bags are widely appreciated by the clients for their features such as excellent finish and ability to carry heavy weight. Pioneer in the industry, we are engaged in manufacturing and supplying an impeccable range of Fancy Non Woven Bag. 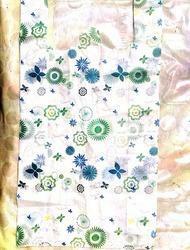 We Kavita exporter is a leading manufacturer, supplier and exporter of W Cut Bags.